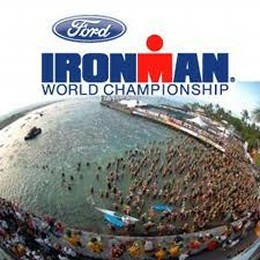 Kona was set up to be a fun vacation with a low intensity low expectation race. I thought I could comfortably race somewhere around 9:45 without going into too much pain. 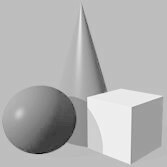 I wanted to go out and enjoy myself and not push my limits so I would be mentally and physically ready to get to work training this winter. 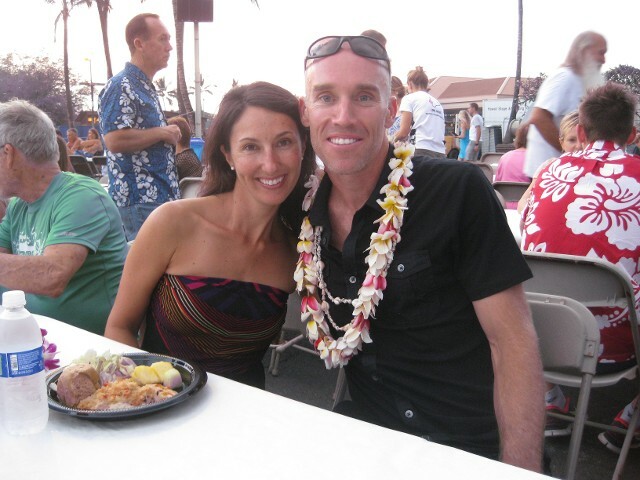 That was the plan… We got out to Kona 3 days before the race. I had a minor stomach issues that started about a week before the race and it last for about 10 days. On race day I had about 8 trips to the port-o-johns throughout the day and I believe that caused some cramping that I could not overcome. My hydration was OK and I supplemented sodium tabs about every 45-60 minutes. Felt physically fine until the cramps hit around mile 100 on the bike. I just could not push the pace without my Quads and Calves cramping. 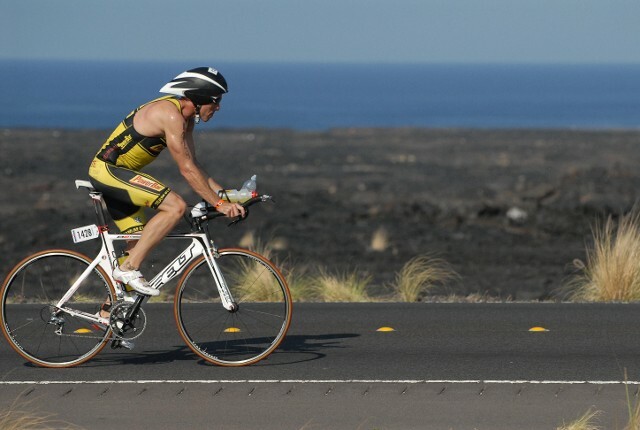 When I rolled into T2 I physically could not get off the bike… I was laughing at the volunteer try to take my bike. I could not get my leg around the bike because of the cramps and he was trying to get me off the bike; I told him “Dude this may take a while”…. I shuffled through T2 and realized this was not going to be a comfortable run. I would run until I started to feel the cramps and then I would walk until it felt better. I ran the whole marathon that way. I did keep a good mental state of mind on the run. I really enjoyed the race and took in the whole atmosphere. 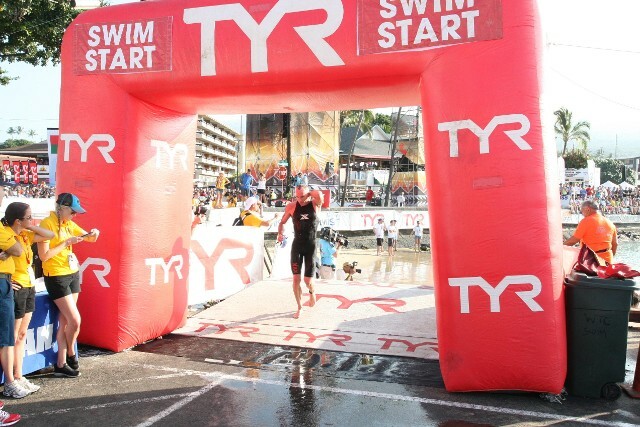 It is an incredible race and all the athletes that make it out their (Professional & Age Groupers) are amazing! After the race Britt and I really enjoyed the island; 3 days in Kona and 4 days on the island of Kauai! Absolutely beautiful! We got married in Kona and spent our honeymoon in Kauai so it was sort of reliving our wedding 7 years later. I finished a 112 mile ride on my computrainer this week. Not that enjoyable but got through it. Only 2 more long rides before Kona! 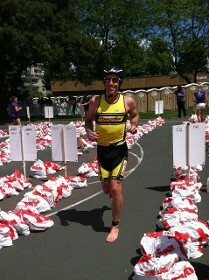 This will be my last race as an Age Group Athlete for a few years. I did well enough this year to pick my Pro card back up so I will be racing all of 2013 as a Pro Triathlete. 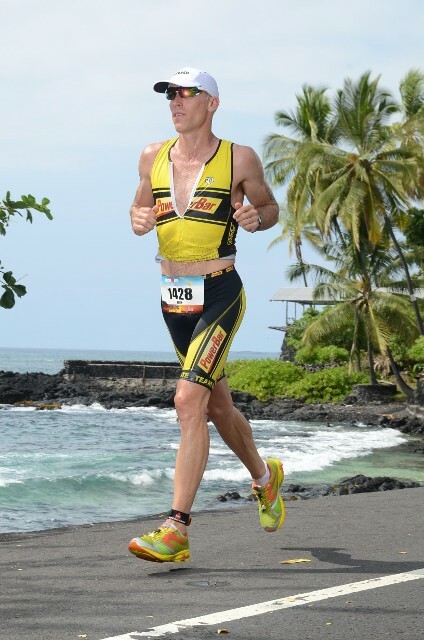 I will be using all Powerbar nutritional products in my Ironman races.